The Avalanche are 1-10 in Overtime. How is that even possible? - The Point Data-driven hockey storytelling that gets right to the point. The Avalanche are 1-10 in Overtime. How is that even possible? After three straight overtime losses, the Colorado Avalanche need to figure out how to play at 3 on 3. Unexpectedly with the high-end talent they have on their team, the Avs are 1-10 in extra time this year. Only once making it to a shootout out of the 12 times they’ve finished regulation tied. For a team four points out of the playoffs, losing out on 10 extra points from their overtime losses could be the difference between playoffs or not. With even half of those 10 points, the Avs would jump into the first wildcard spot. 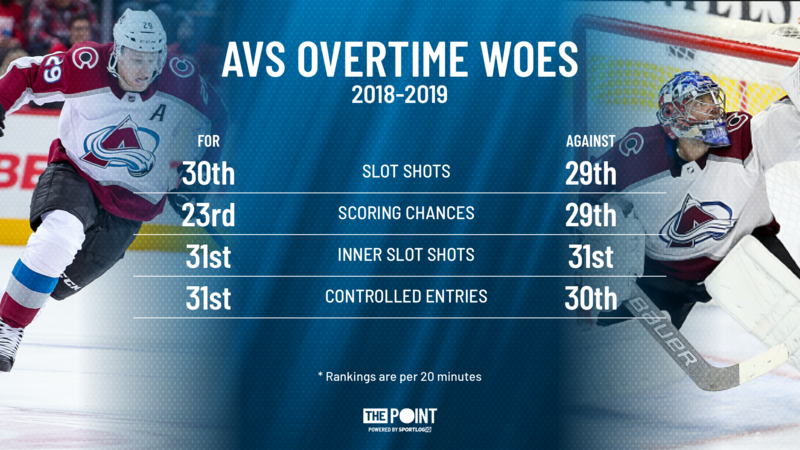 In overtime, the Avs seem to lose their attack mindset and become perimeter players, passing the puck around the outside but never attacking the middle of the ice. The key to overtime is being able to create odd-man opportunities and take advantage of the other team’s mistakes. A good way to do that is with switches and “accidental” picks similar to basketball. 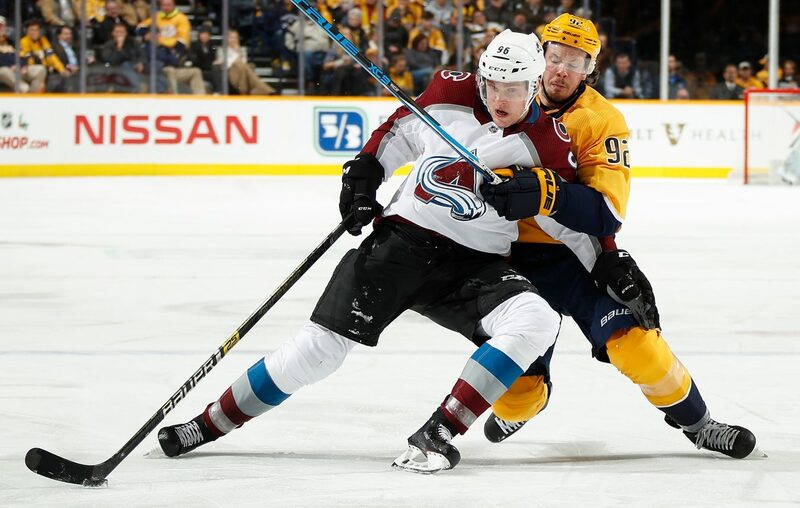 The Avs have been making those plays but they aren’t turning them into scoring chances. Not only are they struggling to create good opportunities but they’re also giving up a lot. Another way to create offense in overtime is by forcing teams into a low-percentage play and transitioning quickly the other way to create an odd-man rush. As it is right now they’re allowing high-quality chances at a really high rate and not forcing their opposing team into tough positions. Every point matters for Colorado right now and if it wants to be one of the teams to come out of the Western Conference lock-jam than they can’t be dropping points in overtime. To do that, they need to play the way they do during regular time; attack the slot and create high-danger scoring chances from there and lock down their defensive zone, keeping players to the outside and forcing bad shots. It’s easier said than done but the Avs have more than enough skill and have shown they can do it at 5 on 5 so they just need to realize that they’re getting away from it at 3 on 3.